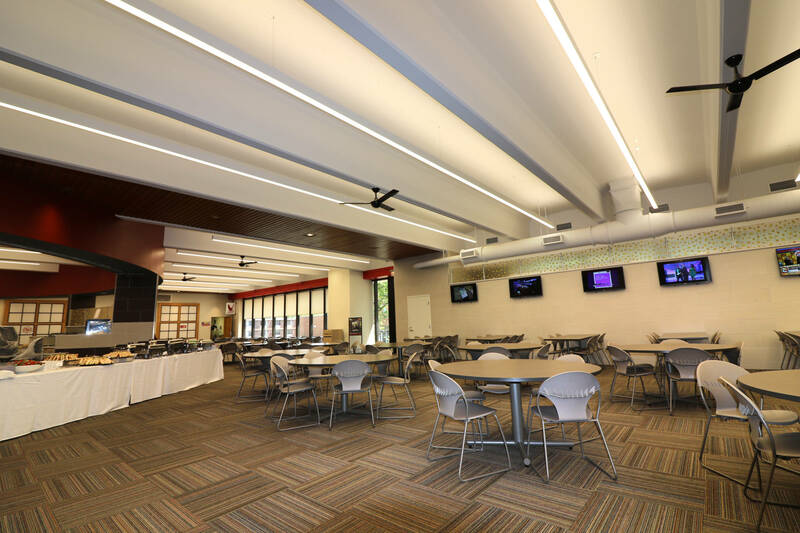 Montclair State University – Student Center | Frankoski Construction Co., Inc.
2,000 square foot addition with an 8,000 square foot renovation. 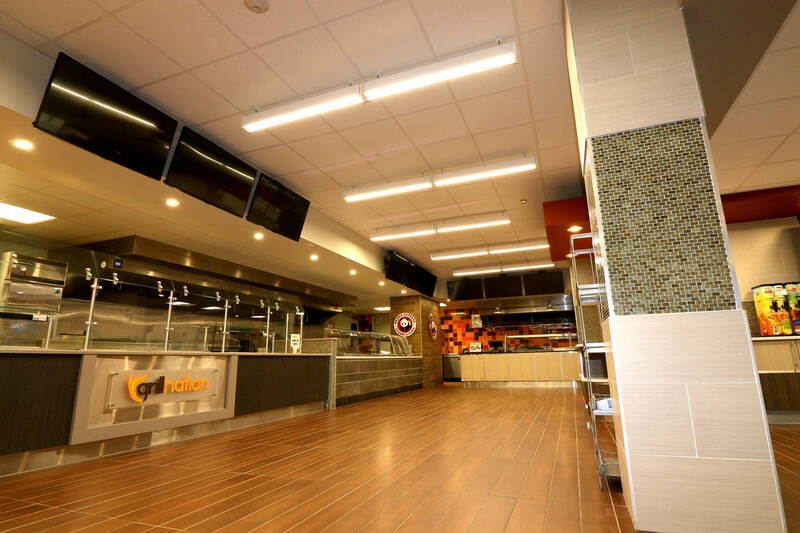 The project included the installation of a Dunkin Donuts, Panda Express, Olo Sushi, Pizza concept station, and a deli market. 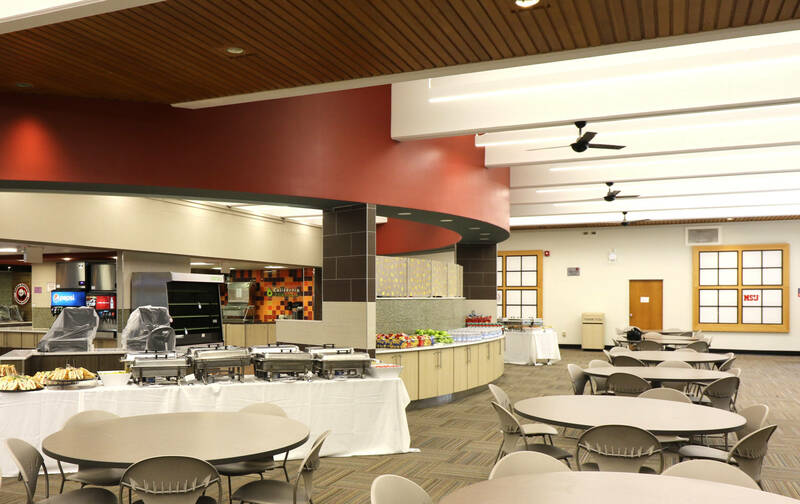 The addition created a large eating area for students and faculty with floor to ceiling windows overlooking the campus.